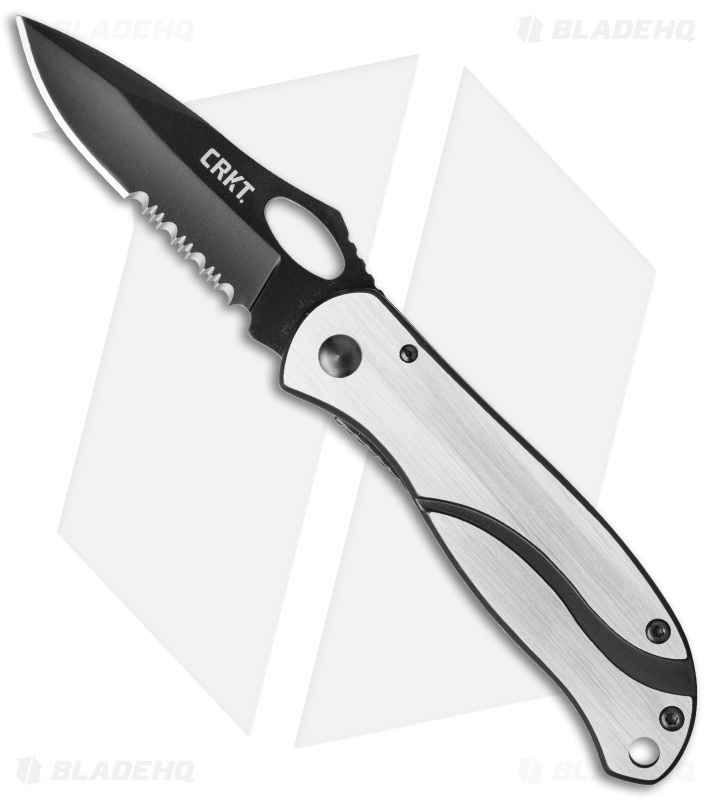 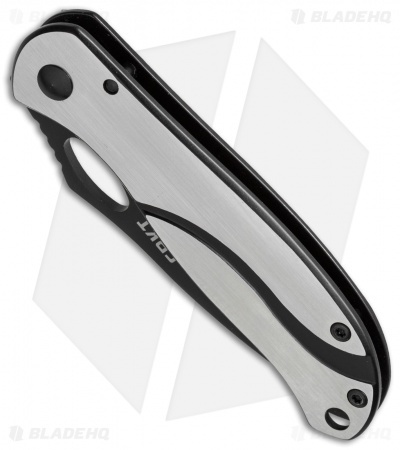 CRKT's Pazoda knives are stylish frame-lock folders that come in two sizes to fit your style and preference. 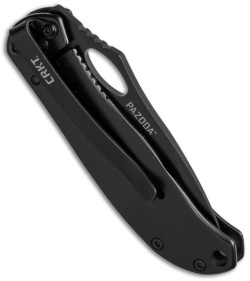 The Pazoda 6490K knife has a 2.625" black titanium nitride coated 8Cr14MoV blade with a plain cutting edge. The oval blade hole allows fast one-hand opening. The 2CR13 stainless steel frame is also given a black titanium nitride accent coat and then a brushed finish on the outer surface only, leaving an ample bright area for imprinting from your local trophy shop. A stainless steel clip is included for pocket carry.